New research - Online shoppers clearly say what makes them click "Buy"
Takeaway: Download our new consumer research ebook to learn how much product content influences sales and which types of content shoppers crave the most! It's now the age of distributed commerce - when consumers are clearly in charge of when, where, and how they shop for and buy products. Which means it is critical for brands and retailers to understand the secrets of how consumers actually make their purchase decisions. We cracked that consumer code by... wait for it... asking them. In this new set of consumer research, it turns out that what your customers crave most when shopping is accurate, complete product content. 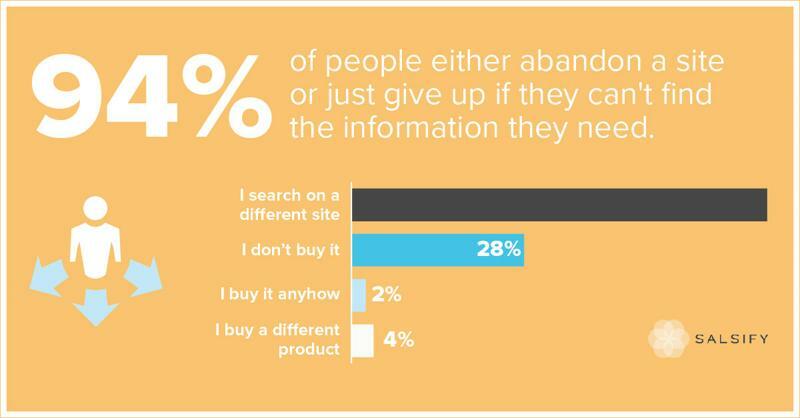 They want to make informed purchase decisions, and if they can't, they don't buy at all: in fact, ninety-four percent of people either abandon a site or just give up if they can't find the information they need! But that's only half of the equation - if consumers want product content, what type of information most strongly influences their purchase decisions? We asked shoppers that too, and the answers will help you create the ultimate customer experience by providing digital consumers with the right information at the right time. Download our "Cracking the Code: Product Content Drives Conversion" ebook today to learn more of consumers' digital shopping habits!